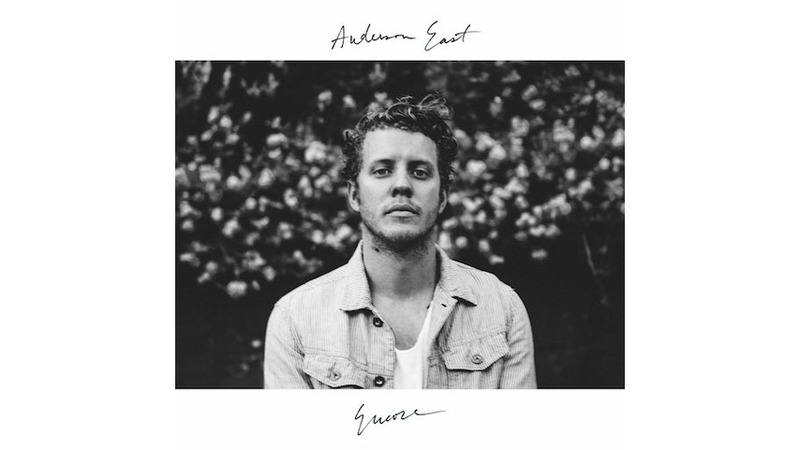 The fans and tastemakers of Nashville have fixed their gaze upon Anderson East for the last little while due to his creative relationship with country superstar Chris Stapleton and his romantic relationship with Miranda Lambert. It helps that he maintains an office and home in Music City as well. But it doesn’t take long into either of East’s major label albums—2015’s Delilah and his new one Encore—to see that while his Southern roots run deep, he’s more interested in bringing back the groove and sweat of the region’s soul/R&B legacy than adding to the bro country ranks. No matter who he consorts with and where he lives, East would have likely stood out on the strength of his voice alone. He possesses a marvelous growling tenor that he nestles into comfortably and pushes to its absolute limits when the mood or music pushes him. “Surrender,” a jumpy, horn-driven barn raiser from Encore, finds him screeching to an almost discordant point in the manner of James Brown’s most fiery live performances. East was destined for the hallowed halls of Muscle Shoals (where he recorded Delilah) and the beer-stained stages of his Tennessee home. His voice and angular good looks would surely be enough to draw attention to his work. And they might be needed as Encore isn’t an album that kicks the saloon doors open. It starts off at a simmer with three mid-tempo numbers featuring big ticket guess like Stapleton, who co-wrote and plays on album opener “King For A Day,” and everyone’s favorite greasy-haired roots rocker Ryan Adams who lends his guitar acumen to the gospel-flecked “This Too Shall Last.” All fine songs, but ones that feel as if East is trying to prove his blues/R&B bona fides to any doubters before finally letting loose. It’s the middle section of Encore that soars. He and his band of studio lifers and friends tear into Ted Hawkins’ ruefully funny “Sorry You’re Sick” with abandon and “Surrender” is the perfect sub-three minute rager with teeth and edge. There’s a sneakiness to these tunes that sit at the core of the album, a very modernist, radio-friendly take on a throwback sound that reveals East’s (or his label’s) intentions to turn him into a star. That’s nowhere more clear than with “All On My Mind,” a slinky love song cut through with strings and a purring vocal performance that feels good if a little focus group tested for perfect placement in a Spotify playlist next to Sam Smith and Florida Georgia Line. In that manner, this 30-year-old is more country than we might have suspected. Encore toes the party line where music gets mussed up, like Philip Towns’ squeaking Moog solo on “Girlfriend” and East’s willingness to let his voice strain and crack for emotional effect. Outside of that, the aim is for a plasticized perfection that leaves no bitter aftertaste. That’s how an artist guarantees a shot at the big time. But it makes East feel like he’s measuring each step of his path with caution and guile. There’s still more than enough fuel in Encore’s tank to heartily recommend it. I’m just waiting for him to dare a leap into the unknown.